Partnering with the Center for Green Schools and USGBC, we designed and developed a professional certificate program, the Green Classroom Professional (GCP). The GCP certificate program provides pre K-12 educators and school staff with the knowledge to identify what supports or impedes healthy, resource-efficient, and environmentally sustainable learning spaces. 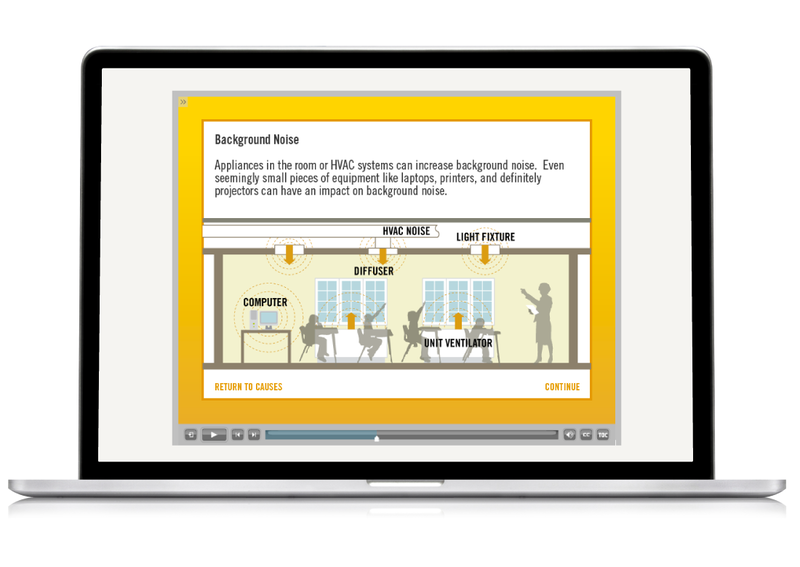 This course trains participants to recognize, adopt, and implement practices that keep teachers and students focused, alert, and ready to learn. 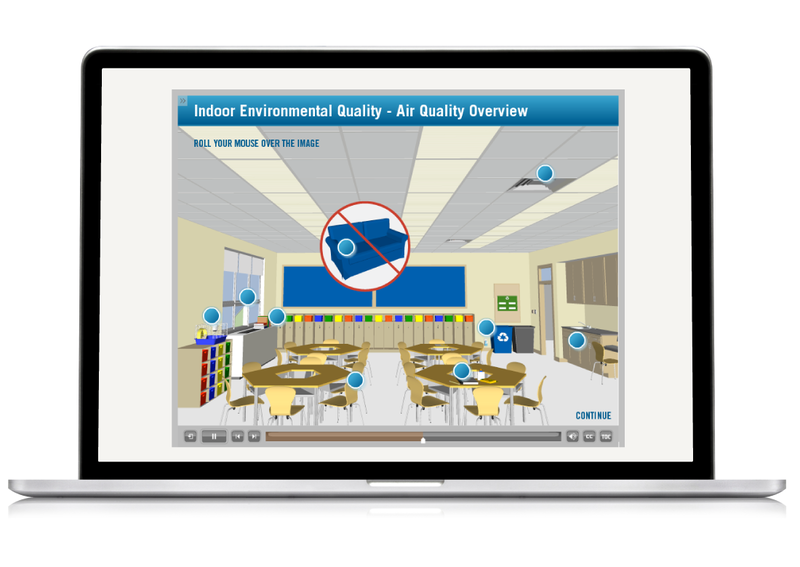 To facilitate the lessons taught within the program, we developed a virtual representation of a typical public school classrooms. 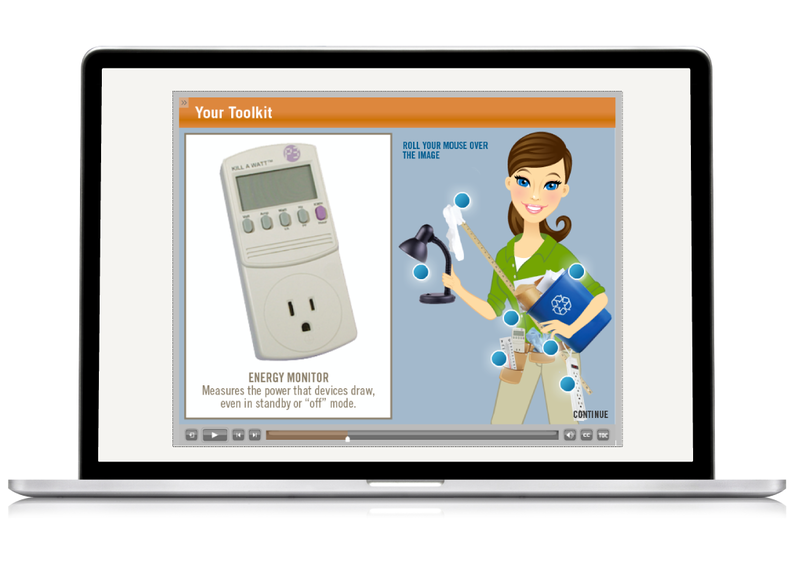 We developed custom illustrations and graphics to communicate a variety of sustainable topics. 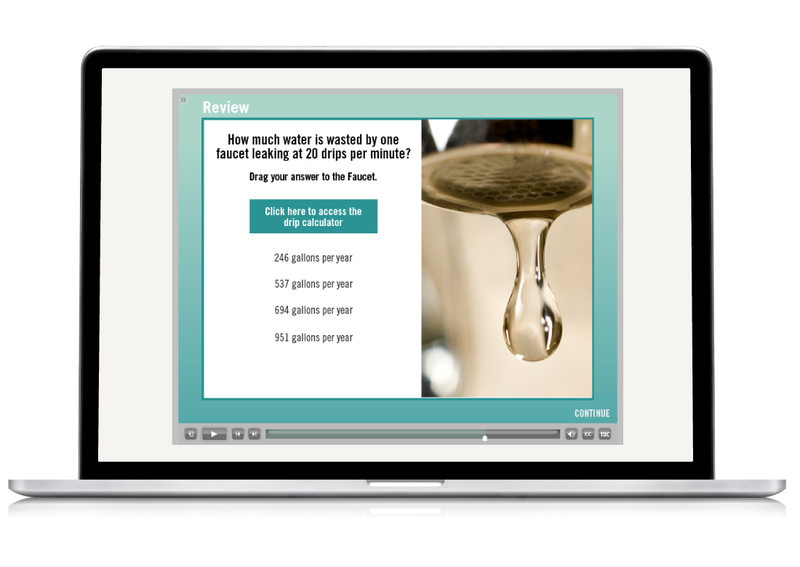 The online course consists of 12 self-guided interactive modules that allow participants to enter and exit the program on their own schedule. It can be taken at USGBC (usgbc.org/classroom/gcp).